Indian smartphone brands are slowly looking to catch Chinese brands by adding decent specifications on their smartphones priced at sub Rs. 5,000 price. One such brand is Karbonn who is on a launch spree in recent times. Karbonn’s Aura range of phones are direct competitors to the Xiaomi’s Redmi series and the firm today added yet another smartphone to the series- the Karbonn Aura Power 4G Plus. The Aura Power 4G Plus is the successor to last year’s Aura Power 4G and comes with specifications on par with the Xiaomi Redmi 4A. The handset flaunts a 5-inch HD display with a resolution of 720*1280 pixels. At the heart of the phone is a 1.3GHz quad-core chipset, coupled with just 1GB of RAM and 16GB of internal storage. The storage in the device is expandable up to 32GB via a microSD card. Optics-wise, the Aura Power 4G Plus comes with two 5MP cameras on the front and back, and both of them has support for LED flash. Connectivity options such as the 4G LTE, VoLTE, Wi-Fi, Bluetooth, GPS are present in the phone. The Aura Power 4G Plus has a beefy 4000mAh battery, and it boots Android 7.0 Nougat out-of-the-box. The less RAM and weak cameras are the only let downs with the device as it has specifications in line with the Xiaomi Redmi 4A. In fact, the bigger battery is a huge bonus, and it’s the ideal device for people who are looking for a big battery smartphone in a tight budget. 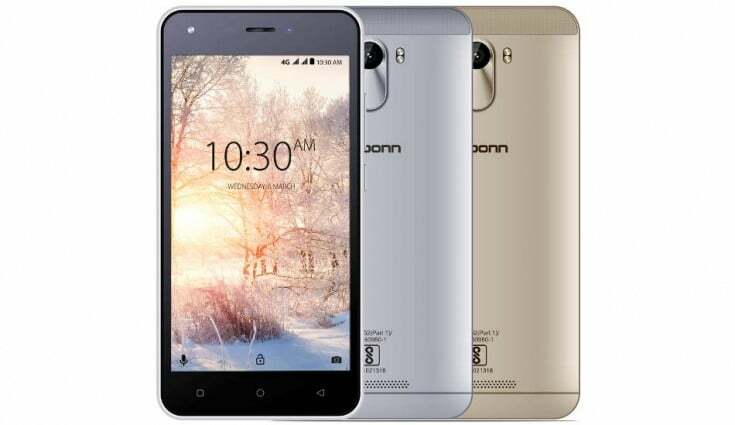 Karbonn has kept the price as low as Rs. 5,790 and it will be available in the offline market. The smartphone will be available in two colour options- grey and champagne. Karbonn will be bundling a protective case with the phone in the retail box. What do you think of this new device from Karbonn? Will it dethrone the best budget smartphone- the Redmi 4A in India? Let us know in the comments below. should have been with 2 GB RAM, then it would hv been real competitor. Arena’s favourite phone. He will P2 for buying another.